BY KATHRYN (KATE) CARRAS, Entrance Monitor, Kelsey Museum of Archaeology, University of Michigan. A self-confessed “fiberholic” with two degrees in textile studio art from Eastern Michigan University, in her spare time Carras spins, knits, weaves, crochets, embroiders, and knits dolls from her own patterns. She is currently learning rug-hooking and Japanese braiding (kumihimo). Fragment of woven wool tapestry. Favorite Artifact. Small fragment of woven wool tapestry. Roman period (1st–4th century AD). Karanis, Egypt. KM 10534. About Artifact. This small tapestry fragment features the motif of an animal that appears about to eat a red/purple object. The design is somewhat oval with an outer ring of yellow crested wave motif on the red/purple backgrounds. The ancient weaver used light brown wool for the warp (set of vertical threads) and the weft (set of horizontal threads), along with a lighter yellow, red/purple, and blended yarn of red/purple and blue. Although the weft in the plain brown weave shows damage on the fragment’s edges, the colors remain vivid and still show luster. 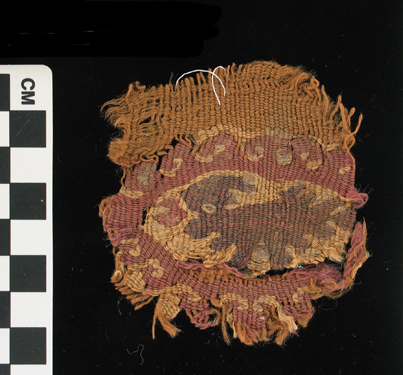 This piece was one of approximately 3,700 textile fragments excavated by University of Michigan archaeologists during their 1924–1935 Karanis expeditions. Historic textiles from the Roman period and later antiquity are rare in many parts of the world, but Egypt’s dry climate fortunately preserved great quantities of them. Background. 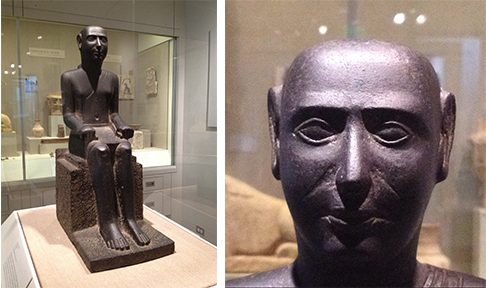 Museum namesake Professor Francis W. Kelsey began a series of excavations in Egypt that were intended to find artifacts and documents in an archaeological context to illustrate daily life in the Greek and Roman world. These excavations began with the site of Karanis (modern Kom Aushim), extensive ruins of an abandoned town of the Greek and Roman periods. The University of Michigan spent eleven seasons at Karanis, where the team unearthed a wealth of material of everyday life. 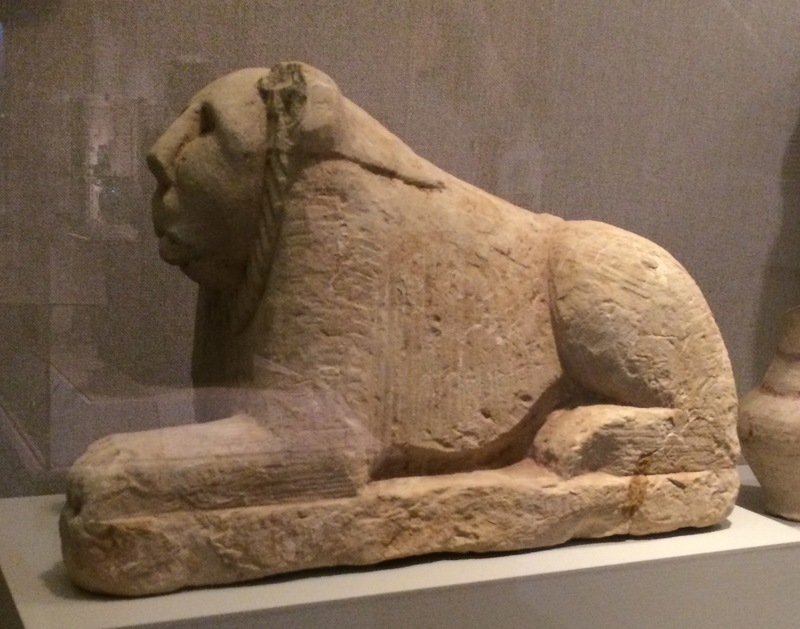 Thousands of these objects were given to the University by the Egyptian government, and the artifacts are now housed at the Kelsey and the papyri at the Papyrology Collection at the University of Michigan Library. Find It. Currently not on exhibit, this fragile textile is protected in our climate-controlled collections storage. Scholars should contact Kelsey Collections Manager Sebastián Encina at sencina@umich.edu for further information. Learn More. The book Textiles from Karanis, Egypt, in the Kelsey Museum of Archaeology: Artifacts of Daily Life, by Thelma K. Thomas, is available for purchase in our gift shop or online from our distributor, ISD.